At Dash Self Store we pride ourselves on our state-of-the-art security systems. Our access control ensures only authorised people have access to the facility and with everyone having an individual PIN number there is always a record of who is and has been on site at any time. All the units at Dash Self Store are individually alarmed. When you enter the facility using your unique PIN number this deactivates the alarm in your unit. 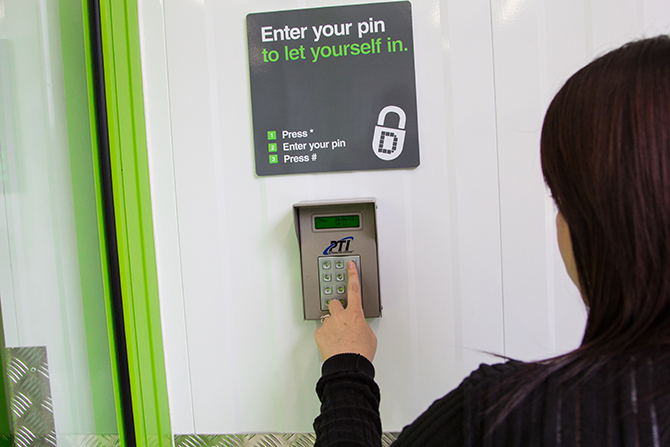 When you have finished, simply close and lock the door, then enter your PIN at the exit to re-arm the alarm. Our 24hr CCTV cameras cover all entrances and exits, plus our fire detection and alarm system further ensures your belongings are always kept safe.